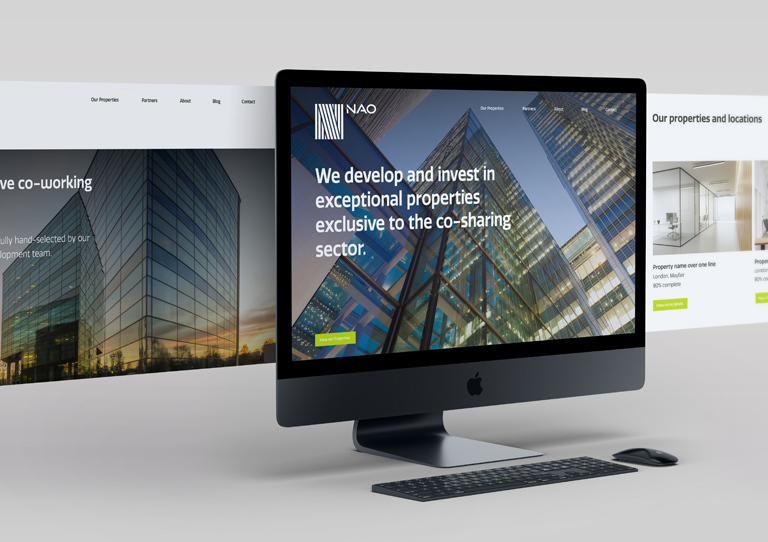 Headquartered in Dubai, Nao is a property investment firm focused on creating and developing co-working and co-living spaces in the UK and Asia. 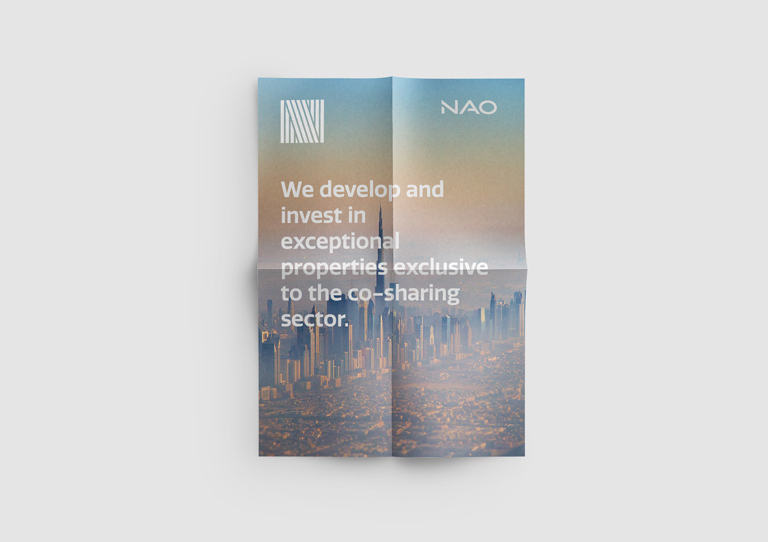 Nao provides exciting opportunities for individuals and organizations interested in investing in the co-working and co-living sectors. 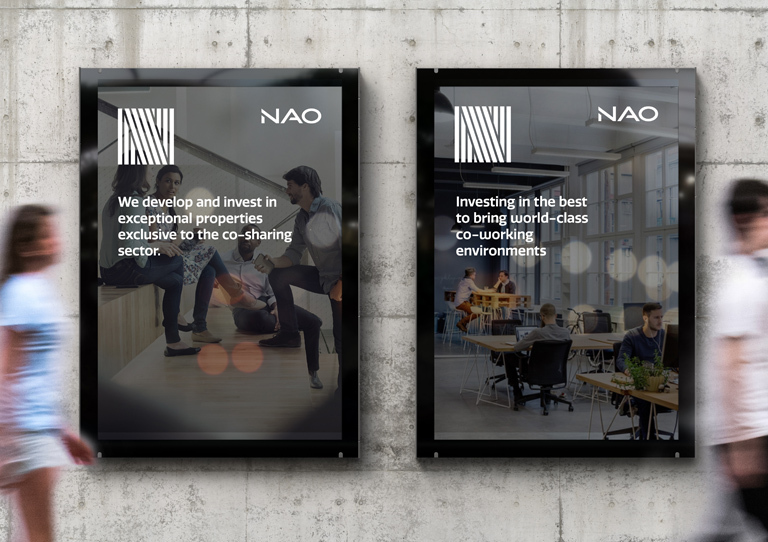 From a purely business point of view, Nao is an investment company responsible for creating profits for investor but at its core, Nao is a business that exists to improve and upgrade communities by becoming active members of those communities it operates within – uplifting old buildings and working towards a vision of communal shared growth and well being. 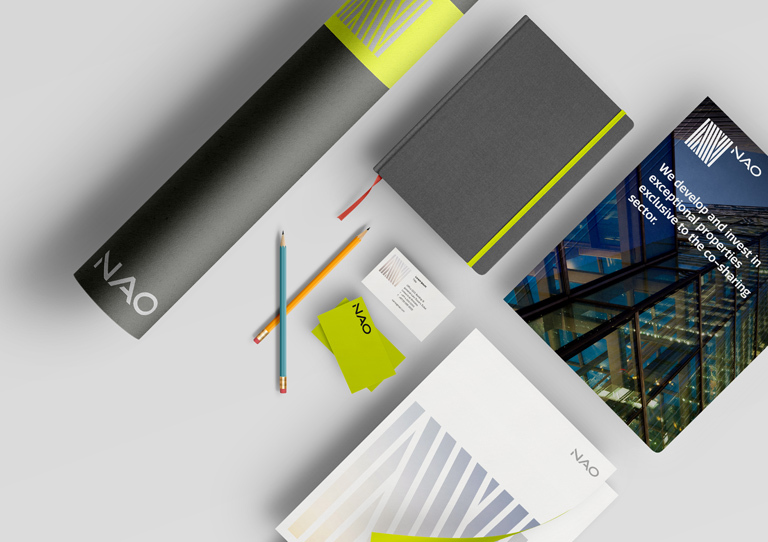 We distilled our strategic insights into a believable point of difference for the brand – one that paved the way for naming, brand identity creation, tone of voice and messaging. 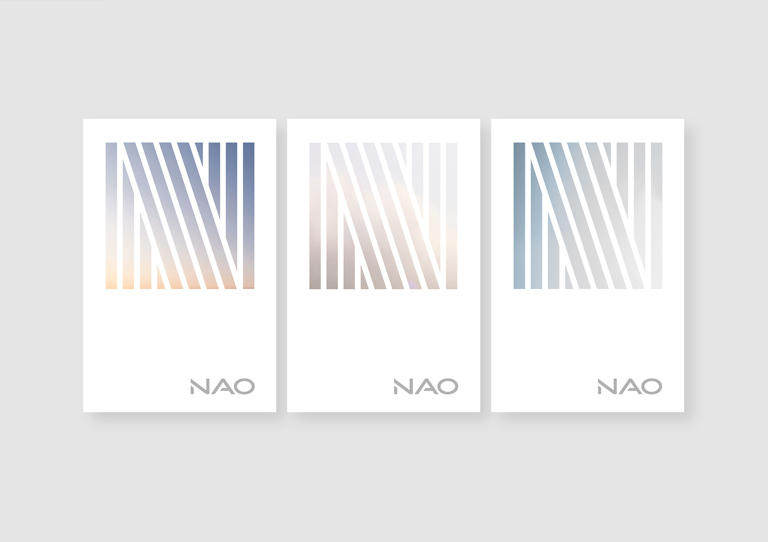 In visualizing the Nao brand, it was important to develop a clearly differentiated image – one grounded in the beliefs it stands for and positioned in a younger, fresher, more dynamic direction. 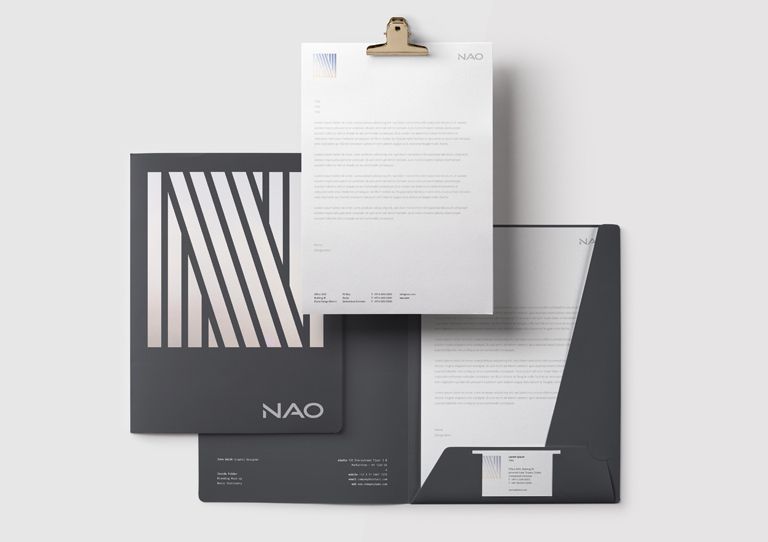 At the same time, as a business focused on creating intelligent investment opportunities for its investors, it was important that the brand identity we created remained grounded, trusted and established. 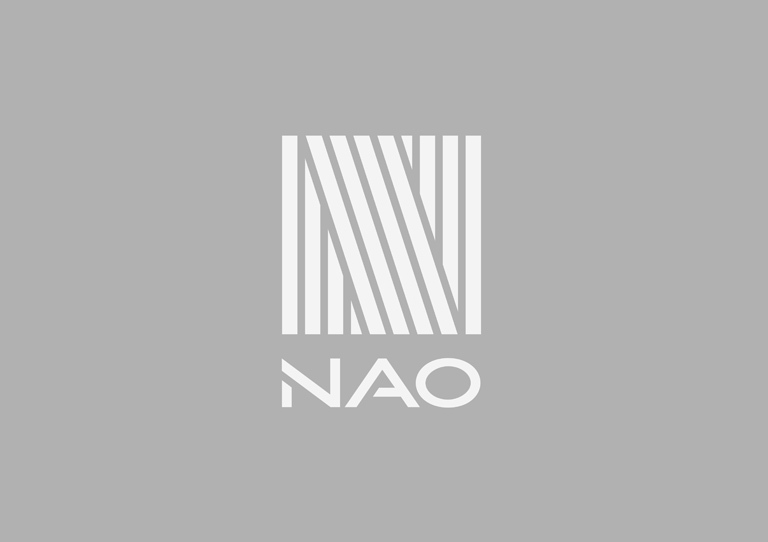 For the logo we wanted to created something perfectly structured and balanced, but with all the facets that makes Nao unique. We then detailed a comprehensive image style and paired the brand with a color palette that included a bright, vibrant flash of color. 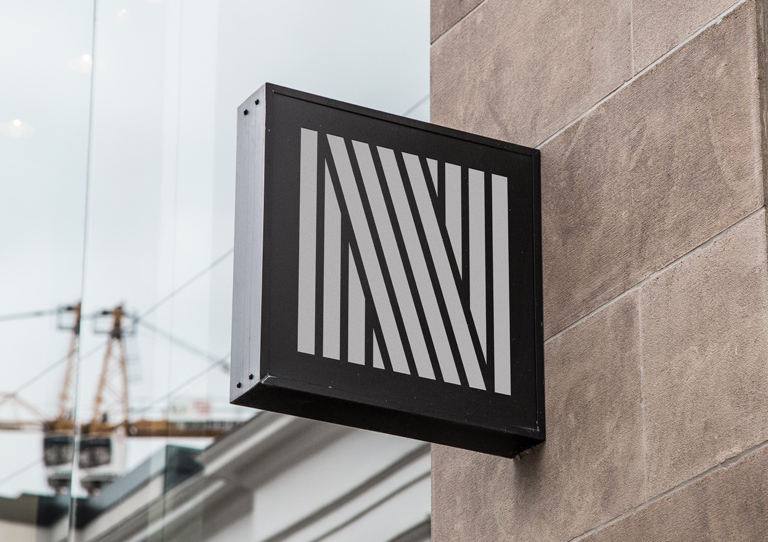 Building a dynamic element into the logo allowed us to further position the business as a progressive, forward-focused business with a younger, fresher mindset.